It’s that time of year again. For all of you out there still shopping, I have a few gift ideas … especially if I happen to be on your list! Juliska has added to their designs by Deborah Sears of Isis Ceramics. I’m crazy about all of the new patterns—the ‘Country Estate’ pattern featured on my side bar—as well as the Christmas pattern they introduced last year. Country Estate pattern is available in the original gray and now a beautiful blue. 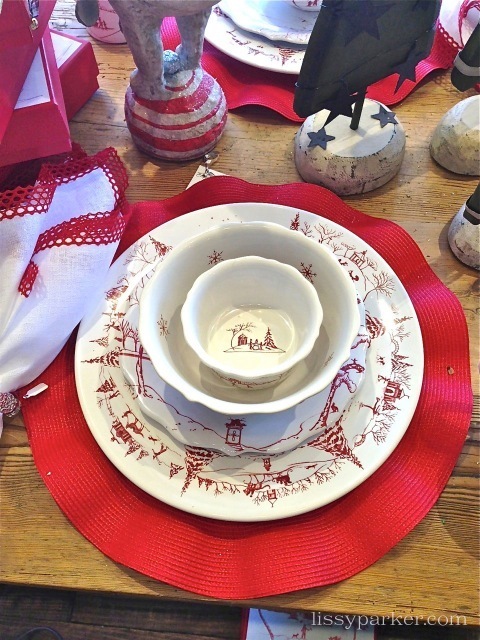 The Winter pattern is Red and perfect for the holidays. I found this great display at Erika Reade Ltd. on Roswell Road here in Atlanta. Check it out, or just give them a call 404-233-3857. 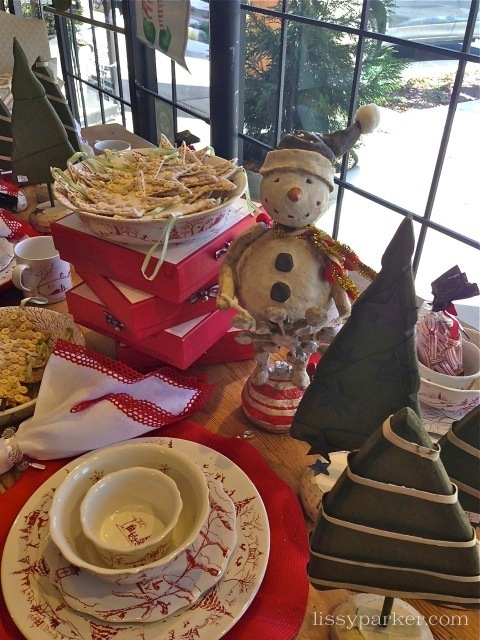 A charming display of Christmas Cheer at Erika Reade Ltd.
Merry Christmas—now get out there and shop! The pattern is amazing, Lissy. Just love it and would make such a beautiful Christmas table…hope you’re having a wonderful week!! It will be a beautiful table—need more pieces! I adore my Juliska! It is fab! Merry Christmas Lissie! Hope Santa is good to you! Lisa, I will have a very Merry Christmas—enjoy yours and your sweet family. Love Juliska! 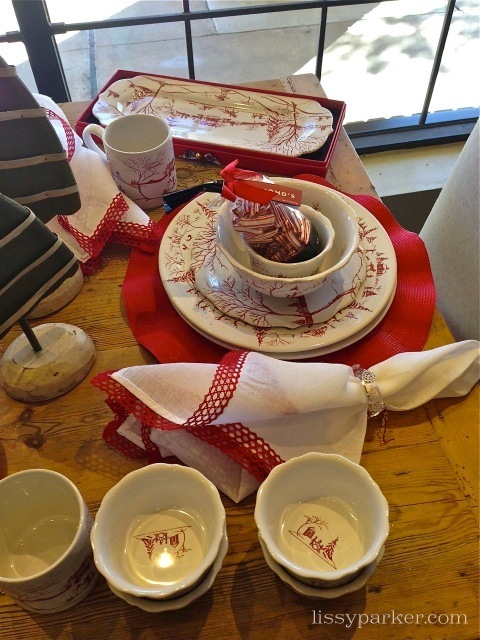 My daughter has their white dishes….if I were buying a new pattern I would jump on it!! Cindy, I am always looking for a new set of china.